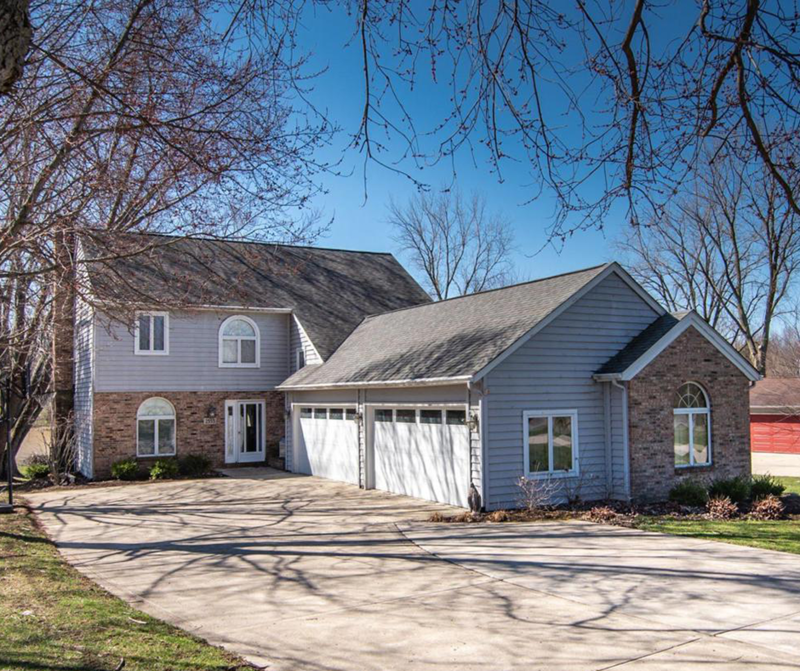 NEW LISTING & OPEN HOUSE - 2553 W Choctaw Drive London, OH 43140! Staycation dream come true! Located on one of the most desirable sections of Lake Choctaw. Georges Fork is the largest cove, great for swimming, kayaking and paddle boarding. Your own private beach area alongside the covered boathouse makes this lake house a dream. This home boasts 4 bedrooms, 2 and a half bathrooms, a 4 car heated garage and over 2300 square feet of vacation style living. Enjoy the views from the large back deck and balcony in the owner’s suite. Ideal floor plan in that all the main living spaces have water views. This house goes the extra mile with a high-end wood burning stove in the brick fireplace, complete with built-ins on both sides. Furthermore, gas tankless water heater, chefs dream with 2 ranges and hardwood floors. Only waterfront for sale, don’t miss it!